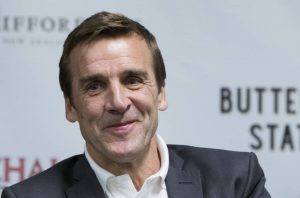 General Manager George McPhee was a big reason for the Vegas Golden Knights’ success in their inaugural season. McPhee, himself, played 115 NHL games as a member of the New York Rangers and the New Jersey Devils during his playing career. He’s held front-office roles with the Washington Capitals, Vancouver Canucks, and the New York Islanders. McPhee was named the National Hockey League’s General Manager of the Year for the 2017-2018 season after leading the Vegas Golden Knights to 51 regular season wins and a trip to the Stanley Cup Finals.